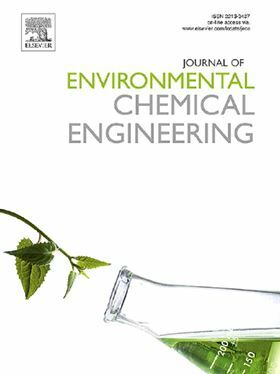 The research article 'Comparison of natural organic matter removal by ultrafiltration, granular activated carbon filtration and full scale conventional water treatment' has been published in Elsevier's Journal of Environmental Chemical Engineering (Volume 6, Issue 5, October 2018, Pages 6282-6289). Effective removal of natural organic matter (NOM) during water treatment is crucial as disinfection by-products (DBPs) such as trihalomethanes in the final drinking water are formed when residual NOM reacts with the disinfectant such as chlorine. This study compared the NOM removal efficiency by granular activated carbon (GAC) filtration, an ultrafiltration membrane and conventional water treatment plant. The NOM removal efficiency by GAC and submerged ultrafiltration process was conducted at pilot scale level and the conventional water treatment process assessment using a full scale water treatment plant. The performance of the three process train in removing NOM was conducted in parallel. On average, the conventional water treatment processes (coagulation, sedimentation and sand filtration) removed 61% and 24% NOM as indicated by UV254 and dissolved organic carbon (DOC) removal, respectively. A respective reduction of 73% and 25% of UV254 and DOC was achieved by ultrafiltration. The GAC filter column (preceded by a sand filter column) achieved UV254 removal of 86% and DOC removal of 28%. Conventional water treatment removed the hydrophobic high molecular weight (HMW) NOM fraction while GAC and ultrafiltration not only increased removal of HMW NOM, but substantially increased removal of the intermediate (IMW) and low molecular weight (LMW) NOM. Addition of GAC filtration to the conventional treatment process appeared superior to ultrafiltration and conventional treatment and increased the overall NOM removal efficiency. Coupling CSF to UF can enhance membrane performance and control fouling.